By 1940, the colony had returned to backwater status. Its British rulers had no interest in any sort of economic, social or political development, hoping to extract enough revenue from the livestock trade to pay for the military occupation. The colony’s major port, Berbera, exported animals and served as the colony’s capital; Winston Churchill, visiting in 1907, declared the place “unfit for a decent English dog.” The garrison consisted of the locally-raised and British-officered Somaliland Camel Corps, about 600 poorly-armed and poorly- trained troops intended for internal security duties rather than actual combat. Italian Somaliland bordered the British colony on the east, but with no useful roads in that area Italy did not appear to be a threat. 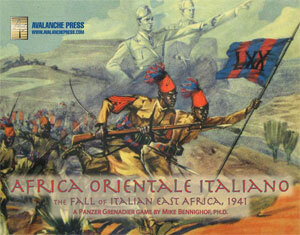 That changed in 1936 with the Italian conquest of Ethiopia, bordering British Somaliland to the south and south-west. Reinforcements finally arrived just before Italy declared war on Britain, with one African battalion disembarking in May 1940 and another in July. Two Indian battalions followed in August, and finally a battalion of the Black Watch later that month. Other preparations included the construction of concrete fortifications and barbed-wire entanglements at the Tug Argan pass leading to the colony’s capital and major port at Berbera. But despite Middle East commander-in-chief Sir Archibald Wavell’s adamant requests, the colony received no anti-aircraft or anti-tank guns and only a single battery of artillery. The troops did receive a new commander, Alfred Reade Godwin-Austen, who arrived when the Italian invasion had already begun. Only at the last minute did Middle East Command detail additional reinforcements for the colony, none of which arrived in time to aid in the defense. Amadeo Duca d’Aosta, the Italian commander in East Africa, had detailed his newly-arrived second-in-command, Guglielmo Nasi, to plan and lead an invasion of British Somaliland and possibly neighboring French Somaliland (also known as Djibouti) as well. The duke had hoped to move against the British immediately upon the Italian declaration of war on 10 June, but the Italian supreme command did not approve the operation until 19 July. Both the duke and his superiors in Rome vastly over-estimated the British commitment to Somaliland, and feared that they would bring in additional troops from India – if they had not already done so – and march down Italian Ethiopia’s lone railway leading from the French port at Djibouti to the capital at Addis Ababa. The offensive would need a great deal of force, and the duke assigned some of his best colonial formations to Nasi along with a artillery support and about half of his scanty armor. France’s Vichy government replaced the pro-DeGaulle leadership of Djibouti on 23 July; the governor and his top aides defected to the British a little over a week later. With the French colony in friendly hands, Rome directed the duke to only invade British Somaliland. Nasi’s troops moved forward on 3 August: 35,000 men in six colonial infantry brigades, three Blackshirt battalions and supporting units including irregulars, engineers, artillery and a small number of tanks. Nasi sent them in three columns, with Lt. Gen. Sisto Bertoldi, commander of the Harar garrison, leading the 17th and 70th Colonial Infantry Brigades, a pair of Blackshirt battalions formed from Italian colonists and the machine gun battalion of the crack Savor Grenadier Division to capture the small port of Zeila and seal off the border between French and British Somaliland. Gen. Arturo Bertello’s western column, made up of the ubiquitous irregulars known as Bande plus a single Blackshirt battalion, would head for the village of Odweena, from where a road led to Berbera. It would screen the right flank of the central column, and be close enough to render assistance if needed. Most of the Italian fighting power rested in Gen. Carlo de Simone’s central column: three colonial infantry brigades (13th, 14th and 15th) plus 14 artillery batteries, half a company of medium tanks and full companies of light tanks and armored cars. Trailing behind them, the best colonial unit in East Africa, Col. Orlando Lorenzini’s 2nd Colonial Infantry Brigade of tough Eritrean regulars, formed the reserve with two more artillery batteries. Bertoldi’s western column reached Zeila without meeting serious resistance. Bertello’s eastern column likewise faced few enemies but many of the Bande – often bandits and rebels impressed into Italian service to keep them from forming guerilla bands or preying on the civilian population – melted away as the column advanced. 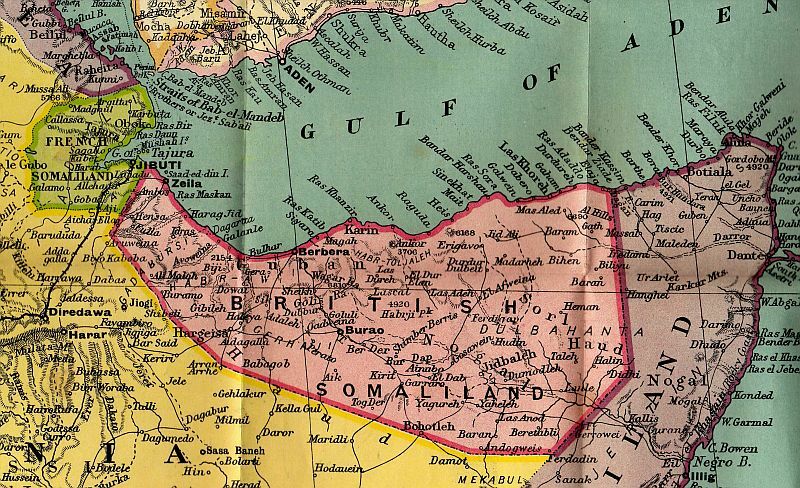 De Simone’s column reached Hargeisa on 6 August, the same day Bertoldi entered Zeila. The only sizeable inland town of British Somaliland, Hargeisa lay in a mountain valley that attracted enough rainfall to allow forests and agriculture including tomatoes, onions and lemons. The British had garrisoned the place with a company of Northern Rhodesian infantry and one of Somaliland Camel Corps machine-gunners, who put up several hours’ resistance before the Italians drove them out. De Simone drew up his forces around Hargeisa to allow his supply columns to catch up and to distribute water. On the next day they set out again down the rocky road to Berbera, moving far more slowly than desired by higher headquarters in Addis Ababa and Rome. Meanwhile the Royal Italian Air Force put Hargeisa’s small airport into operation, and CR.42 fighters were operating from there by 8 August. 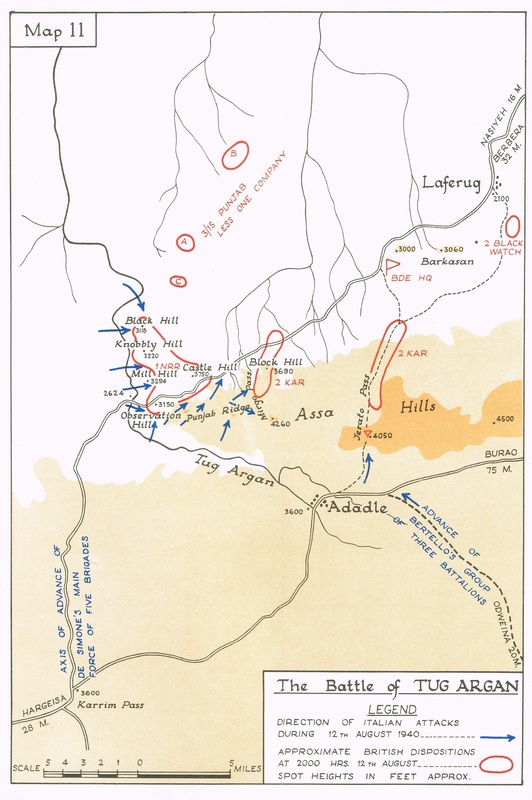 The Italian central column reached the British defensive positions at Tug Argan on the 11th. The Italian staff had provided maps based on British surveys from 1926, which turned out to be wildly inaccurate. When they finally arrived, they found the British well dug-in with barbed wire and concrete-reinforced positions, but lacking enough troops to cover their entire front. 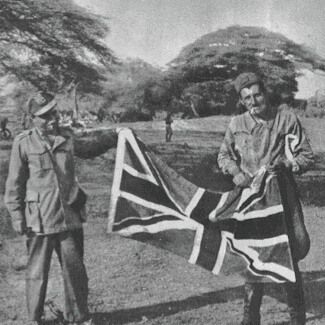 The newly-arrived Godwin-Austen had three battalions to cover the gap through the mountains: one of Northern Rhodesians, one of Kenyan King’s African Rifles and an Indian battalion of the Punjab Regiment. The 2nd Black Watch formed the reserve. They had one battery of artillery, and no anti-tank guns. After air attacks and an artillery bombardment, the Italian 14th Colonial Infantry Brigade attacked the Rhodesians with the 15th Brigade went at the Punjabis. De Simone also summoned Lorenzini’s brigade, which started trying to infiltrate around the right flank of the British positions. The British held on the first day, but on the second the Italian overran the Rhodesians including the Kenyan artillery battery supporting them. The British position continued to hold despite heavy casualties on both sides; the inability of the Italian 2nd Brigade to get into position frustrated De Simone’s attempt to turn the British out of their defenses. Even so, the Italian colonials infiltrated between the British battalions, and on the night of the 13th-14th they set a deadly ambush for a company of the Black Watch while it moved up to reinforce the front lines. On the British left flank, the remnants of Bertello’s column of Bande arrived and made a rather weak attack on the detached company of King’s African Rifles holding the Jerato Pass. With Lorenzini still lacking contact with the Punjabis, much less and success against them, De Simone determined that the position could only be carried by renewed frontal assaults and on the 14th the attacks continued. Godwin-Austen, shaken by the unexpectedly fierce Italian determination and the ambush of the Black Watch, recommended evacuating the colony. British commanders had become used to having easy access to Italian communications thanks to lax to non-existent radio discipline, but the paranoid and cautious De Simone sent his orders via runner, depriving the British of any intelligence regarding his plans. The final Italian assault came on the afternoon of the 15th, as the fresh 13th Brigade overran the Rhodesian lines. The British apparently rose out of their dugouts to surrender, but when the Italians approached they threw down their weapons and ran away into the hills. With permission to withdraw and Lorenzini finally infiltrating his right flank, Godwin-Austen ordered his battalions to fall back once darkness fell, with the Black Watch covering the retreat. De Simone followed them only slowly, and the British began their evacuation on the 16th with only scattered interference by Italian aircraft. The Italians reached the British rear-guard on the 17th, where a fierce fight broke out punctuated by a Scottish bayonet charge. The Black Watch slipped away during the night and by the 18th the British had successfully pulled out of Berbera without further casualties. The Italians had won a clear victory, which Nasi rightly attributed to “a triumph of logistics.” Nasi’s staff had supplied a relatively huge force across impossible terrain, with only a limited number of motor vehicles available to his support columns. The colonials had shown a willingness to fight for Italy, as long as they were winning, but the effort had expended a great deal of the colonial forces’ limited stockpiles of fuel and ammunition. Winston Churchill demanded a court-martial for Godwin-Austen, who presumably was expected to fight for Tug Argan to the last man. Wavell defended his subordinate, who promptly received a new field command in British East Africa, where within a few months he would once again face Carlo de Simone, this time with their roles reversed.